Lab takes an end-of-year look at Second Life – Thar She Blows! Here, I stole this interesting article from Inara’s blog. It’s one of those End-of-year statistics. And particularly the concurrency chart doesn’t look to bad. On Wednesday, December 19th, Linden Lab offered a look back at 2018 and something of a look ahead to 2019. There’s actually been a lot going on, although it is surprising to note that some of the bigger deliveries / anticipated deliveries actually first started to surface in 2017, when I reviewed / previewed them. 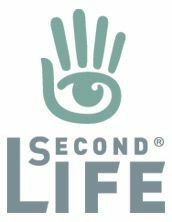 I’ll be taking a look through the major changes to Second Life myself in an upcoming blog post, so won’t delve too deeply into things here. Unsurprisingly, Animesh is featured front-and-centre for the year’s delivery – although it’ll be early 2019 before we really start to see the impact this project has on the grid as a whole; many creators have yet to really embrace it, although there were certainly a lot of creative ideas put forward at the Content Creation User Group meetings. Previous Am I Really Bad People Now?